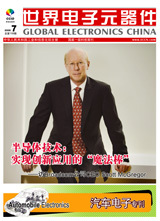 GEC "Global Electronics China" is a monthly magazine published and circulated in the People's Republic of China. It serves as a major source　of component technology and business information for Chinese engineers, business and procurement managers in the rapid growing electronic market in China. 1. 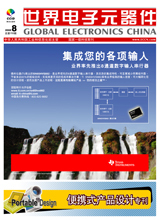 Officially endorsed by the China Ministry of Information Industry, which overseas the nation's electronic and telecommunication industries, GEC is a nationally circulated magazine with 30,000 subscribers across all sectors of China's electronics industry. 2. In each issue, GEC editors provide industry-focused contents covering important global business and technology development, trends and events. It gives a window into the world of electronics for Chinese engineers. 3. Each issue delivers in-depth coverage of leading global component technologies, including information on designs and applications. These articles help Chinese engineers to create competitive electronic products and speed the development process.